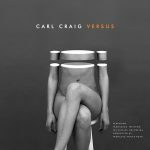 Techno pioneer Carl Craig has a new album on the way comprised of eight tracks from his discography reconfigured by classical musicians and Craig. 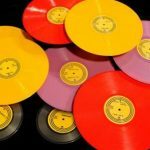 The tracks streamed here are from the forthcoming 12″ Sandstorms, a piece originally released on the 2004 EP Just Another Day, and will be featured on the new album Versus. The new recordings were made in collaboration with Francesco Tristano and featuring the Les Siècles orchestra conducted by Francois-Xavier Roth, with the 12” including both a studio version of the new orchestral adaptation, as well as a previously unreleased take of the original. Sandstorms will be released on blue vinyl on 17 March via Planet E and InFiné (pre-order here). Versus will be released on 5 May. There will also be a live tour for the album, with the first date scheduled at the Detroit Movement festival between 27-29 May.